Players line up as shown with pucks in all 4 corners. 1. 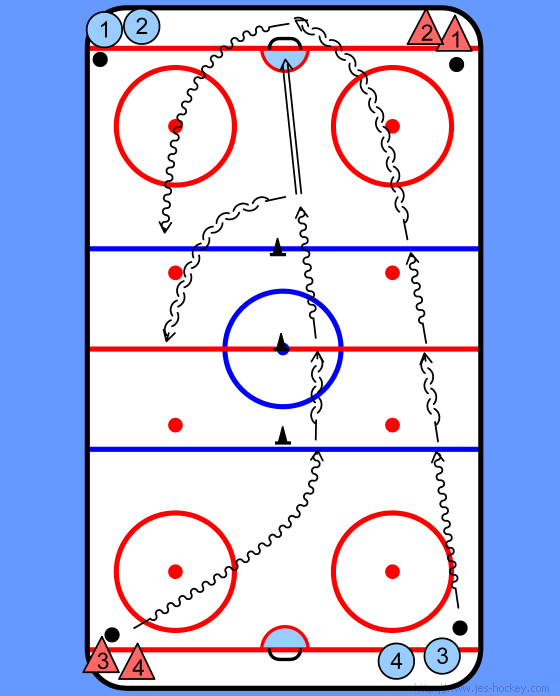 On whistle, players leave and follow patterns. - D skate with puck, pivot at blue line and red line than take a shot on the goalie. - F skate with the puck, pivot at the blue, red, blue and again behind the net and goes in for 1 on 1. 2. After D's shot they pivot and get ready for the 1 on 1 with F.
Players leave from all 4 corners at once - drill is mirrored. 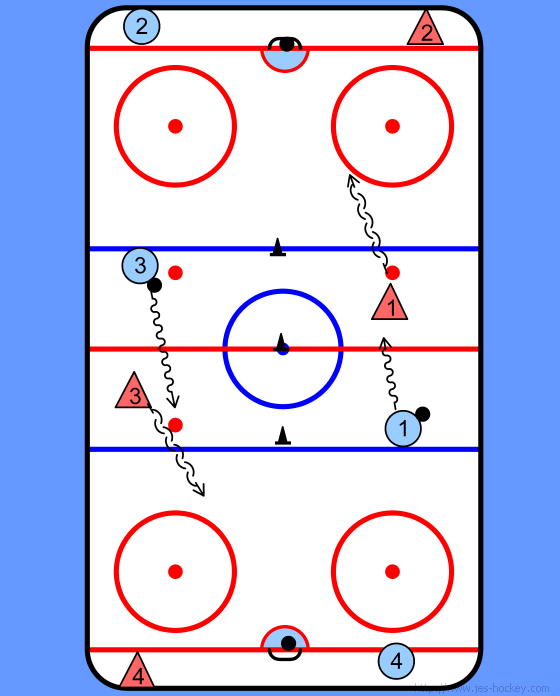 Players must stay on their half of the ice.